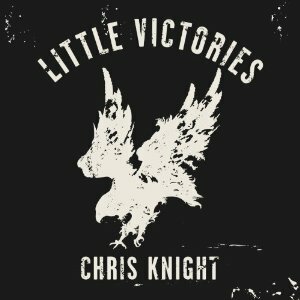 Hall of the Mountain King: Review: Chris Knight, "Little Victories"
Chris Knight actually does what most of the Nashville songwriters think they’re doing. He connects with country’s perceived blue-collar audience. But real connection doesn’t come through lyrics about pickup trucks and dirt roads. It comes through truth, honest emotion and hitting people where they live. Knight has always excelled at those things, and that doesn’t change on his latest record, Little Victories. It’s very much an album for the times. A great many of the songs focus on the down economy, hard times and social strife, but instead of blaming one politician or another and spouting a bunch of rhetoric, Knight sings about cinching up your belt, pulling yourself up and getting it done. That is, after all, what the vast majority of Americans are doing. Yes, there are pickup trucks and dirt roads, but usually the trucks aren’t running and the roads are deeply rutted. The people in those trucks are certainly not on their way to a mud-riding, beer-drinking party. 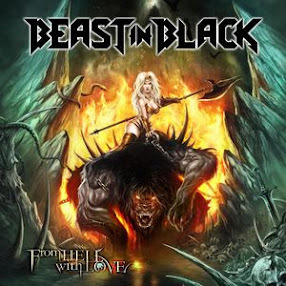 There are shades of darkness and light throughout the record, and those are never more clear than in “Missing You,” which blends a catchy, uptempo melody with lyrics about tough times and missing the woman he loves. Like so many of the songs here, the subject matter presents a bleak outlook, but the feeling you get after listening to the song is exactly the opposite. It leaves you with a positive attitude and a hopefulness that even though everything seems to be going wrong, things are going to be all right. “Jack Loved Jesse” brings an almost rock ‘n’ roll guitar lick with a Bonnie and Clyde-style storyline. It returns to the storytelling tradition of some of my favorite songs from Knight, like “Down the River” and “Long Black Highway.” It’s a little more upbeat than either of those, but still a pretty good yarn, and it’s not the only one here. “Hard Edges” tells another good story about a hard woman with a hard life who has a ballerina hiding inside. Perhaps my favorite song on the record, “Nothing on Me,” centers on a man and his dog. The subject of the song is a rough and tumble guy. He’s the kind of person that goes home and digs a .22 bullet out of his leg with a pocket knife after he’s shot trying to break up a barroom fight. A self-described “bring-it-on, git-er-done, don’t-run SOB.” (The song’s so good, I’ll even forgive the git-er-done reference). His dog, Jake, reflects his owner, a scarred-but-loyal friend who every now and then shows up with just a few more cuts and scrapes. Like all of the characters that Knight presents to us, though, they’re a pretty happy and satisfied pair. Maybe there’s more that they could have, but they don’t really need it. The Kentucky native brings a combination of Midwestern and Southern sensibilities and values to his music. You may hear a bit of John Mellencamp in Knight’s music, though it’s doubtful that Mellencamp would ever encourage people to “keep the lord in your heart and keep your powder dry” as Knight does in the infectious uptempo album opener “In the Meantime.” But they both approach things with a similar kind of honesty and delivery. Knight continues to be one of the best songwriters in any genre of music, and the songs here are a celebration of the reality of rural America. They’re a picture of resilience and, if not prosperity, then at least peace with your lot in life and a desire to make the best of it. There are certainly many classic conventions of country music — trucks, rural life, guns, hunting and fishing, distrust of the government, even dogs and the occasional train — but it’s not a celebration of an idyllic life that doesn’t exist in the real world, nor a complaint about how hard he has it. It’s just how it is, and life goes on. If that doesn’t reflect the true rural American spirit, I don’t know what does.